Summer’s been on my mind lately, with all of Mother Nature’s teasing this winter and warm days that have lingered amidst the cold. In fact, I’ve been thinking specifically about this past summer, because the San Clemente Dam project, which I’ve written about before, has been back in the news. 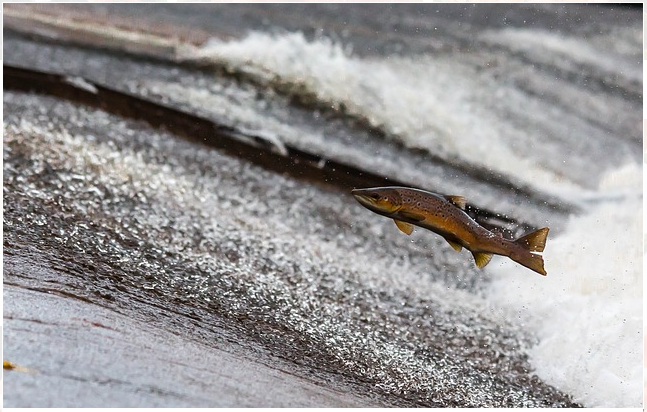 After the successful removal of San Clemente Dam, the Carmel River now flows with Steelhead Salmon safely returned to their natural habitat, all thanks to the strength of the multi-level partnerships that went into the project. This success is due to the support that each participating organization provided to one another throughout the development process. The dam removal addressed matters on a number of organizational levels for the public, the environment, and the government. And it is because of the collaboration of several areas of government, and non-governmental organizations, that they achieved far beyond what would have been possible by acting alone. As Bill Monning, Senator, California 17th District says, this is “a tribute to all of the organizations that pulled together to take a vision and ground it in good engineering and sound environmental and habitat preservation”. Without the coordination between groups like California State Coastal Conservancy, NOAA Fisheries, The Nature Conservancy, California American Water, and United States Bureau of Land Management, the Carmel River would not be rushing so powerfully – and carving out such a wonderful path to the future. Will Stelle, Regional Administrator, NOAA Fisheries, summarizes the project’s results and the foundation for new partnerships perfectly, “At a different scale this project is Exhibit A for imagining the future and making the future a reality”. Walking around the project site now, the transformation and rehabilitation of the environment is abundantly clear. Just as our winter is turning to wonderful spring and soon spring into a marvelous summer, the the long-term value of and lessons from the Clemente Dam partnerships will continue to be the foundations for a continual stream of environmental advances.